When it comes to cutting solid material, like steel or rock, most people think sharp blades are a must. But, why not cut it with water? Hydro cutting can actually be a powerful way to get the most out of heavy cuts. 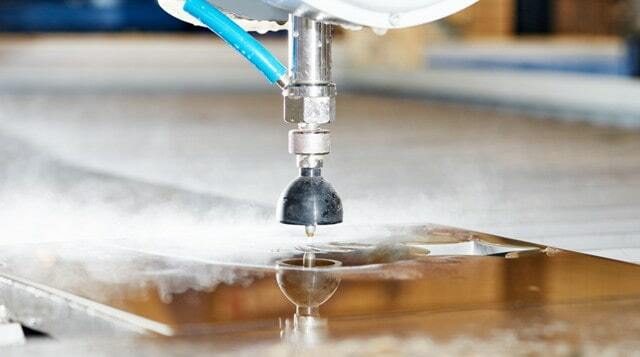 Read on for a guide to waterjet machining and the ways it's benefiting businesses in a big way. Rather than using sharp objects or extreme heat, hydro cutting slices heavy materials with water. It uses the controlled steam of pressurized water to make precise cuts. In its early phases, hydro cutting was used by miners to blast away rock. That process stretches back to the 1800s. Today, manufacturers rely on special metal cutting water jet machine equipment to cut hefty materials. These high-powered jets push out hundreds to thousands of pounds of pressure. That makes it a clean and convenient way to cut through hard surfaces. Interested in learning more about cutting with water? Read more about how specific processes works. It might be hard to imagine water cutting through materials like steel. But this waterjet machining plays off the age-old concept of water erosion. It just focuses this power in a pressurized burst. The stream runs through a narrow nozzle.These machines can run off of computer commands and spit out water at a rate of more than 900 miles per hour. And a water jet metal cutter can cut within two-thousandths of an inch with this tiny stream. It can slice through surfaces that are several inches thick. And, it doesn't use heat or solid blades. Traditional cutting methods like plasma or lasers can put off nasty byproducts. They spit out harmful things like dross waste. Hydro cutting uses cold cutting. That means it protects against those harmful byproducts. And, the garnets that are used in abrasive cutting and water are both recyclable. The technology also uses a closed loop system. That means it's able to complete projects while using a relatively low amount of water. And because it uses fast cutting methods, it helps businesses lower their use of energy. Water jet cutters can break through most materials. And that includes ultra-tough surfaces like bulletproof glass, metal, and stone. It's also able to take on uneven surfaces and materials with reflective coatings. That makes it an advantage for companies that want to work with material that is being reused or repurposed. Some cutting methods can damage products through hot spots. If the areas around the cutting surface get too hot, it can radiate heat in concentrated places around the incision. This overheating can warp material or cause uneven surfaces. Since hydro cutting uses water, it doesn't overheat the edges of cutting surfaces. That means there is a more even surface, and the material isn't as likely to be corrupted. This all leads to smoother cuts and precision on the first cut. And that means edges or end- cuts don't end up with choppy edges. So, companies can kick out final products without having to spend extra time or money on smoothing or secondary cuts. 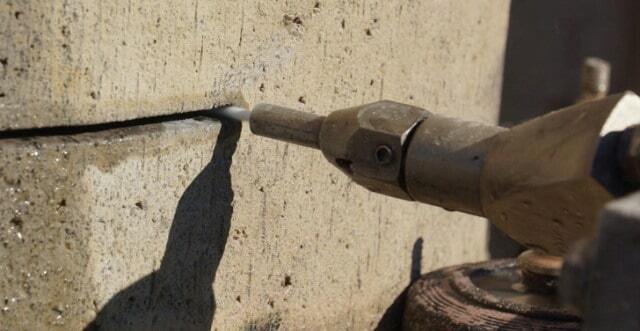 Water jets can cut tiny pieces and shave off thin walls. They can have an accuracy that's as thin as 0.13 millimeters. And they're capable of carving out intricate shapes and designs. That includes things like 3- D cuts or curved edges. Hydro cutting can come in two main forms. One includes an abrasive and one method does not. Companies can use waterjet machining to cut through soft materials without abrasion. That usually means cutting out things like silicon or rubber. Meat is also a popular cutting option that doesn't need abrasion. That's because hydro cutting can lower the risk of cross contamination that comes with other slicing equipment. But, there's also an option to add an abrasive. This makes it easy to cut notoriously hard materials like steel. Abrasive materials usually work as little particles that are mixed with water. They're usually made up of aluminum oxide or suspended grit. Having multiple options is a big advantage for companies that work with different materials. And it provides a consistent cut on thick, hard substances. Water cutting technology tends to have a longer lifespan than other equipment. One big reason is its ability to cut without overheating. Heat can wreck tools and cause heavy wear. Water jet cutting also tends to use a simple design with fewer parts than many traditional cutting methods. This all turns into fewer costly repairs or equipment replacements. And that saves businesses money. It also cuts out the need for expensive extras for maintenance, like coolants. Especially when working with heavy materials, cutting systems can kick off harmful elements. It's not uncommon for materials to throw up grime or put out hazardous gas. Hydro cutting uses non-toxic materials. And it doesn't put off fumes that could hurt workers or the planet. Products also come out of the cutting process clean. That helps businesses that don't want to spend extra money on complicated secondary cleaning processes. Water jets can cut accurate shapes from a wide range of materials. For businesses that means fewer odd ends or misused chunks of raw material. The result is less waste. They also run with a mechanical drive. That reduces vibrations and makes cuts much smoother than other methods. That means edges are less likely to get frayed. Fewer botched jobs mean companies can get more out of their materials. And that can improve a business' bottom line. This guide outlines the benefits of hydro cutting technology. Want to learn more about the world of business and tech in 2019? We'd love to help. Check out our technology section for the latest in technology and how it's affecting business in 2019. I hope you enjoyed this blog post about the amazing benefits of hydro cutting for your manufacturing or production company. Interested in more articles about business equipment, machinery and tools?